Cambridge Audio has announced the arrival of its Audio Minx micro system, which promises big sound despite its small size. Launched at the Cedia Expo in Atlanta, the speaker system features a choice of three subwoofers and a handful of can-sized satellite speakers – which measure just 8 x 8cm. The system features BMR (Balanced Mode Radiator) technology that brings extra zing to both film and music audio. 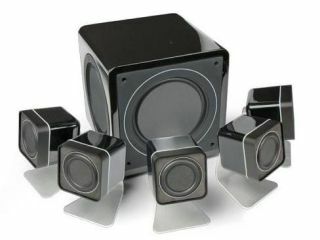 The subwoofers come packing one-piece aerospace grade aluminium cones and uses passive radiators instead of bass ports. T3 has already had the setup in to test, explaining: "To say we were impressed is a gross understatement. "Everything we experienced demonstrates that the Minx is a truly versatile sound system. The system is available in both a 2.1 or 5.1 setup and comes in either scratch resistant black or white high gloss finishes and will be available for the princely sum of £349.95.